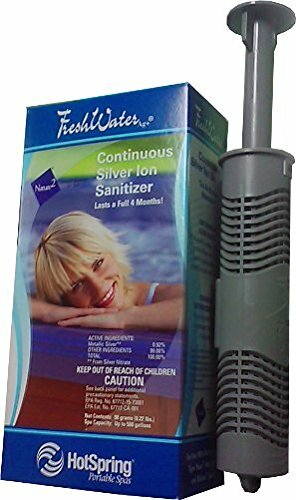 Silver Ions are one of nature's most powerful sanitizers. With Hot Spring'sFreshwater Silver Ion Purifier these sanitizers are continuously introducedinto your spa water to inhibit bacteria growth. Simply replace the cartridgeevery four months for on-going protection.